The spring season is approaching really fast and those of you, who follow all the latest fashion trends, have probably done most of the spring shopping already. So far, we’ve dedicated many posts on the hottest designer trends for spring/summer 2014. In this post, we will see what Bebe stores have to offer from their spring fashion accessories. Talking about spring fashion accessories, let’s start with shoes, since they are one of the most important parts of any outfit. When you visit the Bebe website, one of the first models, which gets your attention are the incredible Nadiya Buckle Platforms. They are simply gorgeous. They feature mesmerizing buckles from the toes all the way up to the ankles and zippered backs. The stunning stiletto heel ensures that you won’t go unnoticed. Nadiya Buckle Platforms have synthetic upper part and outsole. The heels are 6.0″ high with 2.2” platforms. Another model worthy of attention in Bebe collection of fashion accessories is the Kara Scuba Detail Pumps. With these shoes, the classic pump gets a new season twist. They feature pointed toes, a scuba fabric high-cut detail and a sleek silhouette. You can easily wear these incredible pumps to work with a high-waist pencil skirt and a classic button-down shirt. These shoes have leather upper part and synthetic outsole. The heel is 4.5″ high. You can’t think of spring fashion accessories without considering some trendy handbags. 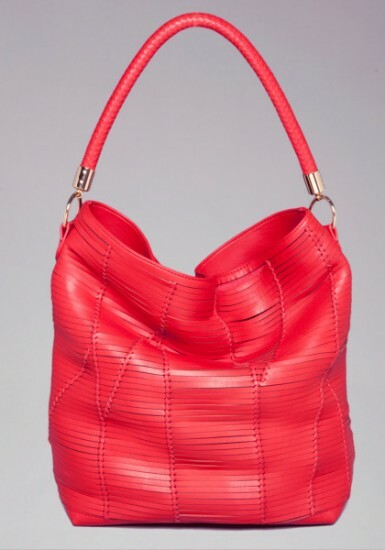 What grabbed out attention at Bebe online store is the amazing Evie Knotted Hobo handbag. This handbag is a great way to add style to your daily outfit. It provides enough storage space for all your essentials and a secret inside pocket. The handbag also features snap closure and cutout detailing. It is made of faux leather and measures 15″ in height, 14″ in width and 6″ in depth. 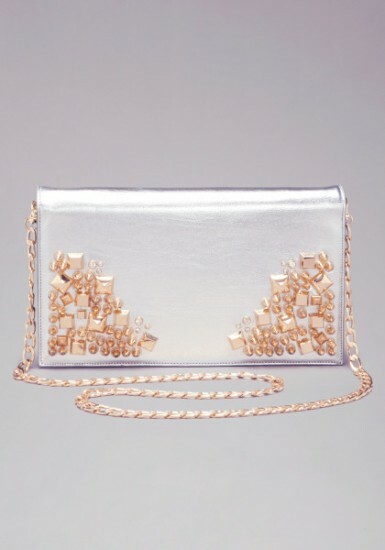 And if you’re headed for a night out with friends, we suggest choosing the Zoe Embellished Clutch. It features edgy hardware and polished design. This oversize clutch has all the elements of the perfect party bag. You can combine it with a blazer, a soft T-shirt and a pair of skinny jeans. The clutch is made of faux leather and has spike and pyramid metal studs. The inside is fabric-lined and has a zipper pocket. The bag has snap button closure. It is 7″ high, 12″ wide and 23″ in diameter. Jewelry is another important part of the fashion accessories for spring 2014. If you’re looking for fashionable pieces for the new season, check out Bebe’s Stone and Chain Bangle Set. It features chains and turquoise stones. 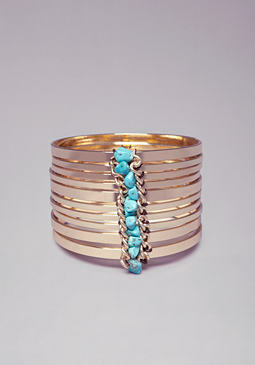 The connected bangles jangle on your wrist and make you noticeable at any party. This jewelry piece would look great with a bodycon dress and even more bracelets on the other wrist. Another impressive piece by Bebe is the Stone Statement necklace. It is a real statement maker. If you want to add flair to your outfit, add an oversize stone necklace. This piece features circular cutouts and chain detail. It is a great choice for a cocktail chic dress. If you want to see more spring fashion accessories from Bebe, you can visit their website. You will see many original pieces, which define fashion’s next step forward. Bebe fashion accessories are designed for the modern, confident woman, who wants to look even sexier.